Posted on Friday, May 13th, 2011 at 11:20 am. It’s time for spring cleaning. Let’s talk about what that means to your blog. Here are 5 things you can do today, to make your blog better. 1. Sidebar content. Really now, how old is your sidebar content? Do you have icons and invitations and ads that need to be replaced? At least review what’s there and shift it around, if need be. The world wants to know your blog is fresh and updated. 2. Design. When was the last time you tweaked your blog header? New design elements, like new drapes or new furniture, brighten a blog up. It gives readers something new to consider as they read along. For decades, the fashion and make-up industry has used the seasons to offer new colors and ideas. You should, too. 3. Writing. If you’re a solo-preneur and all the writing on your blog is done by you and you alone, you’re missing out on connecting with a whole new group of readers. If you aren’t yet ready to ask for guest bloggers, or you don’t feel comfortable adding other bloggers to your blog, consider sharing other content. Always share just a little, and link back to the original work. Then, let the person know you found their work so compelling you had to share it. 4. Sharing. I assume (always a scary thing) that you have Facebook, Twitter, and LinkedIn icons on your blog, so folks can find you there. Are you also utilizing the share links for Digg and Stumbleupon? Are you encouraging folks to share your content? Copyright is one thing – showing you own the content with a copyright symbol is important, but if you’re too afraid to share it – why are you blogging? Blogging is about being social, and social is about sharing. 5. Updating your About Page. This is crucial. If you wrote your about page when you began your blog two or three years ago, it’s outdated, stale, and uninspiring. Tell folks what’s new, what you’ve been up to, and where you’re going in 2012. If you’re attending a luncheon or networking event, you don’t dwell on stuff you did two or three years ago. You talk about now…about today and maybe last week…but definitely about next week. Old info can be shared in longer conversations but the world wants to know the new you – the you who is blogging today. And don’t forget to add a photo. Really. Easy ways to get your blog more attention, more traffic, and more comments. Share some of your ideas for blog spring cleaning in our comments, on our community, and on Facebook. See you at BlogPaws 2011! EARLY BIRD registration ends May 31st!!! Some excellent points, Yvonne. Time to dust off my profile and update it. Any tips on creating a clone? 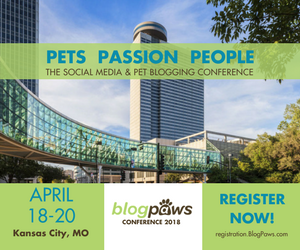 Feature other bloggers even if you don’t get them to guest blog–they’ll want to tell people what’s going on and you have fresh material–or given that this is blog paws–let’s feature their pets! @Bonnie (and Chevy) for sure! I spent the first year with my blog adding all the cool buttons and badges and awards I could find. The next year, I put them into an expanding widget to take up less space. The next year I edited them all out. I know that I definitely need to so some of these things. (some things I do already)….I need to get movin! So cute dog,i love it! We had a great time too, even though Roxy chose to nap duirng the sessions. That’s a cute picture of her BTW. Hopefully we can connect better next time.